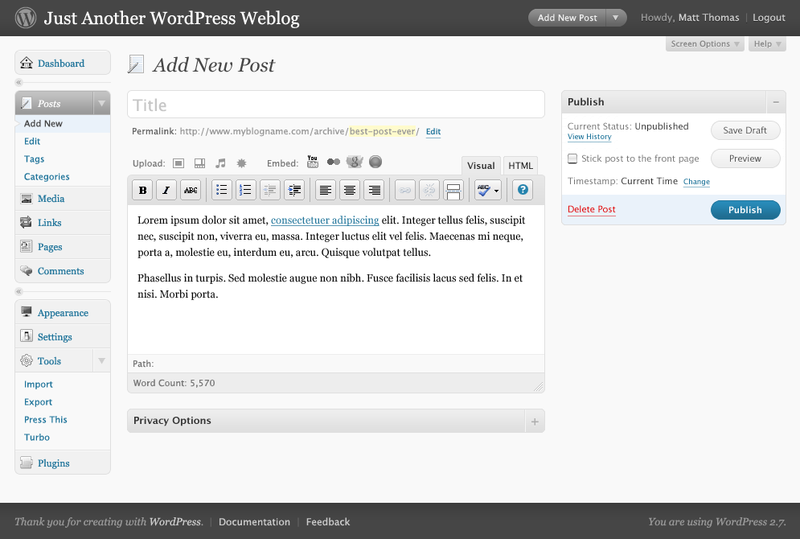 New look WordPress on the way! If you use WordPress for your blog or website, you might be interested to know that WordPress 2.7 is on the way and one of its highlights is a brand new design. Here on GEEK! WordPress is used, its a fantastic blogging program that, while a little complicated to install (if you don’t have Fantastico on the server), is very easy to maintain and is very stable. You can also get Plugins for it that can add a huge variety of features, or make your own. This entry was posted in In the News, Software and tagged design, GUI, look, new, wordpress on October 21, 2008 by GEEK!.